Let me start off with some straight up honesty. I have followed the blog 101 Cookbooks for many years, it was, after all, partly responsible for me starting my own blog – to stop buying books and start using them. 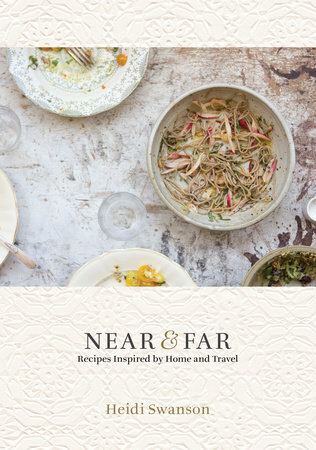 I also own Heidi Swanson’s first two cookbooks, so was really excited at the prospect of this, the latest one, inspired by her life of travelling the world. Anyway…. to the book. If you are a fan of the blog, you will recognise the style – beautiful pictures of vegetarian wholefoods. It is laid out in three main sections: Near (San Francisco); en route (travelling food) and Far, with Far further divided into Morocco, Japan, Italy, France, and India. For each of the areas it begins with a short list of items that make up the “pantry” for that style of cooking, and there is also a small section at the back of the book dedicated to accompaniments. Some of the ingredients listed could be tricky to come by (depending on where you live): coastal sea vegetables; pomegranate syrup; shichimi togarashi; sudachi………. But aside from the fresh perishable things, the internet is of course a wonderful thing and provide any number of unusual ingredients at the click of a button. After my first flick through, I identified a few recipes I liked the look of, and decided to test a couple out. 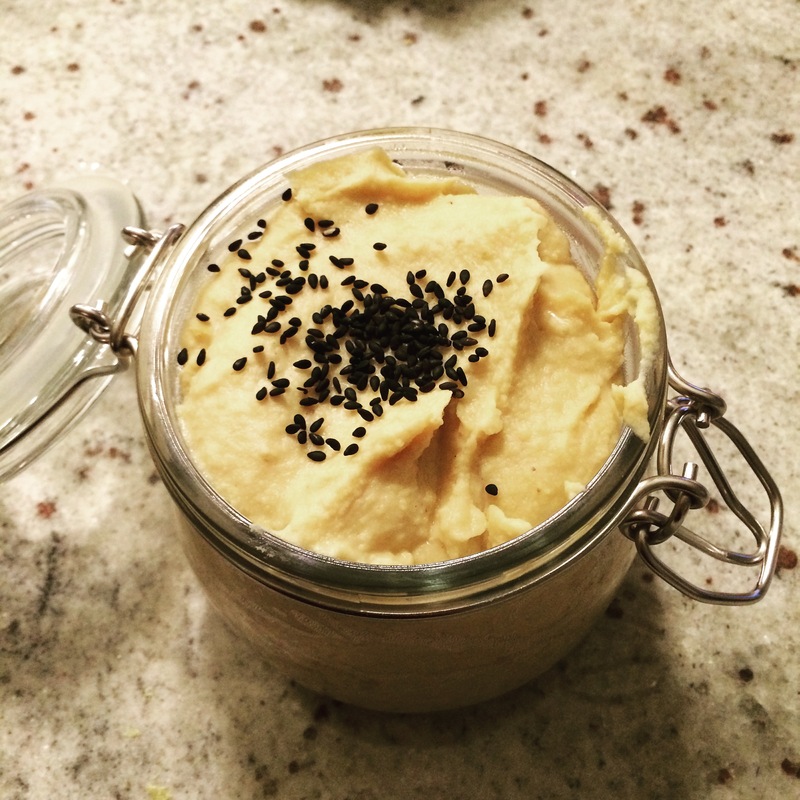 First up (pictured above), was Red Lentil Hummus. We pretty much always have red lentils in the house as I use them a lot, so it was a really simple recipe to put together. I made one variation from the method though, as I am a big fan of not having to do more washing up than is necessary, and blended the ingredients together in the original pan with my stick blender, rather than transferring the mix to the food processor – that thing is a lot of effort to wash up! We have used it as a dip for tortilla chips, smothered it on bread for lunch…… Delicious. Both recipes were really easy to put together, and required very little forward planning, but maybe that is because I had a pretty well stocked wholefoods pantry already, and they are both recipes from the “Near” – San Francisco is only 45 miles away. There are many other recipes I am looking forward to trying out, and I would recommend this book to lovers of vegetarian/wholefoods cuisine.